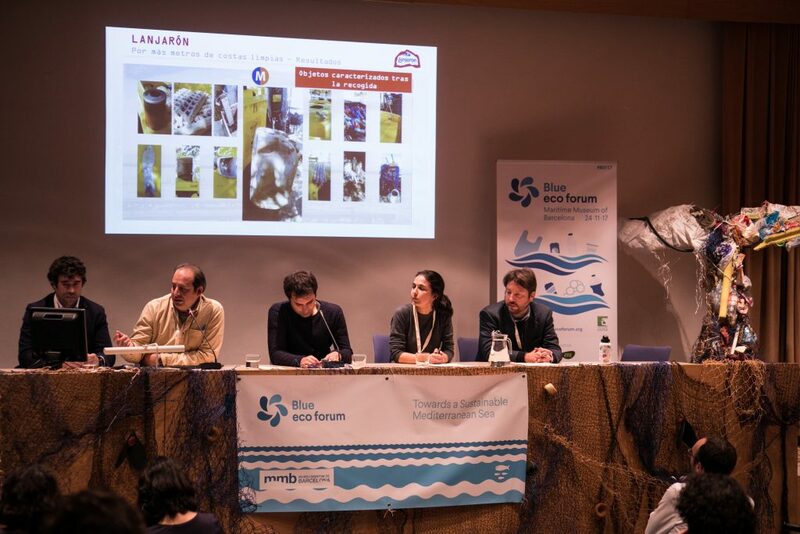 Barcelona, ​​November 28th, 2017 – The Blue eco-forum 2017 was held with the objectives of debating and reflecting on the environmental state of the Mediterranean Sea and showing the ecological trends of the coming years. The role of the Barcelona Convention as a Governance mechanism was discussed, as well as its efficiency and transparency as a tool to address the major environmental challenges proposed by the heterogeneous context of the area. In the present edition, the thematic was focused on the growing problem that marine litter represents, especially plastics and their derivatives, for ecosystems and public health. Are current policies, actions, and strategies enough to take over this environmental challenge? What is needed to eliminate waste and garbage flows? To be sure that mechanisms for supervision and decision-making are appropriate, different experts from Northern and Southern Mediterranian area suggested improving the accessibility to environmental data and information, to entail all the key actors (NGO, companies, universities, local authorities) and to guarantee an open and transparent process. Besides the conference, there was a participative workshop where members of civil society and national and international experts meet to discuss and approve the Declaration of Barcelona on Marine Litter, with the aim of strengthening the commitment among Mediterranean organizations to the problems caused in our ecosystems due to the growing accumulation of Marine Litter. This workshop was held with the perspective of the twentieth ordinary meeting of the Contracting Parties to the Convention for the Protection of the Marine Environment of the Coastal Region of the Mediterranean. The forum was based on presentations by high-level experts, such as policy-makers, researchers, and professionals from other disciplines. The presentations were developed in 3 panels, followed by the workshop. The format of the presentations was based on 10-minute interventions, in which the experts made an analysis and exposed their visions in relation to the targeted problems to subsequently create a debate. 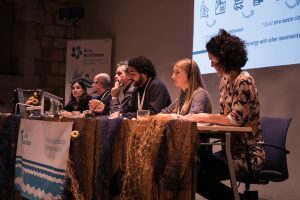 The BEF17 is an activity organized in the Maritime Museum of Barcelona by eco-union with the support of Surfrider Europe Foundation, ENT Foundation and the European Institute of the Mediterranean (IEMed). 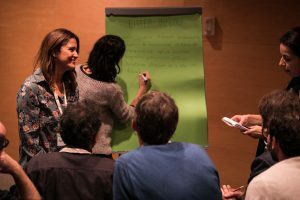 Its organization was possible thanks to collaborators as Barcelona City Council, ​​Ecoembes and Danone-Lanjarón, among other private and public organizations. 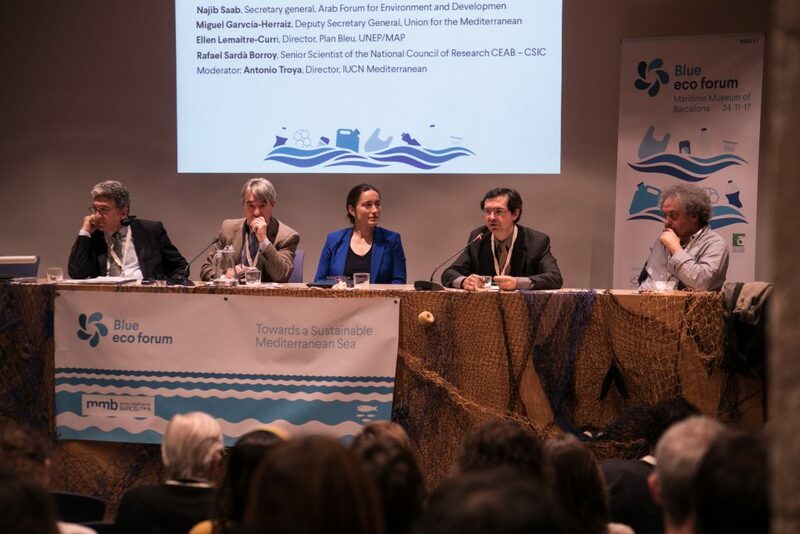 The conference had leaders of entities such as Arab Forum for Environment and Development, Union for the Mediterranean, Plan Bleu, SEO / BirdLife, Ecoembes, CSIC, UICN, University of Cadiz, Seas at Risk, Break Free from Plastic Mediterranean and SCP / RAC. These experts in governance and marine ecology elaborated a multidisciplinary and transversal vision that brought us closer to a scenario of better environmental sustainability. In this edition was opted to give a more eclectic approach to the forum, collaborating and sharing space with Posidonia Green Festival and Drap-Art’17 festivals. They developed an artistic and playful environment through exhibitions, film screenings, and activities for the whole family, creating a space for debate and sensibilization the marine environment.